Tag Archives for " Inbound Referrals "
Up until fairly recently eCommerce recommendations and remarketing were only possible for large eCommerce sites. However, the emergence of recommendation and remarketing tools and service providers over the last two years have made these sales boosting benefits accessible to even small businesses and marketers. In this article we will look at what recommendations and remarketing are within the field of eCommerce, before looking at how they can benefit your business and boost your sales. Generic: These recommendations are seldom influenced by your past browsing and shopping history, and often show what other customers are currently looking at, or what the top-sellers are in general, or by category. Complementary: These recommendations are directly influenced by your current and past behavior on an eCommerce site, and will be made up of items that complement or enhance the items you are currently looking at. Alternatives: These recommendations are alternatives to what you are currently looking at, or what is already in your cart. 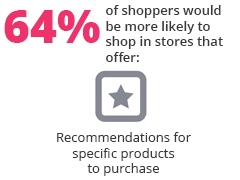 Alternative recommendations can be used to either upsell or to retain a customer where the product they were originally interested in is out-of-stock. Remarketing is primarily about having your online ads displayed to users who have previously visited your site, as they browse other websites. However, remarketing can also be used in tandem to recommendations by showing visitors to your site products they have viewed on other sites, and even items that are relevant to their current geographical location. Both recommendations and remarketing rely on you having a substantial amount of data regarding your customer’s behavior and history, and the arrival of recommendation and remarketing tools and service providers gives small businesses access to this, along with access to 3rd-party data that enhances what they have already collected. Careful implementation of complementary, and even generic recommendations, can lead to an increase in your average basket size, with a McKinsey case study showing that cross-selling techniques can increase sales by 20%. The focus should be on items that enhance what the customer is looking at; for example, if the customer is looking at a shirt, complementary recommendations would be pants, shoes and even socks that create a complete outfit. However, there shouldn’t be too many recommendations or you risk losing the customer. Generic recommendations in this context can encourage customers to explore your site more, possibly finding items they want, but weren’t actively looking for. Countless sales are lost each day when the item the customer is looking for is out-of-stock; but alternative recommendations can help you. Whenever an item is out-of-stock, ensure that you display at least three alternatives, using a good, better, best approach. Caution must be taken when setting up your alternatives since they should closely match the original; if the customer was looking for a light switch, don’t offer them a new lampshade as an alternative. 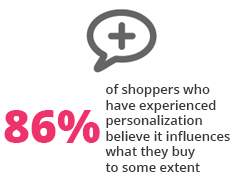 Personalization plays a critical role in fostering customer loyalty for online stores, and personalizing some of your generic recommendations is one way to start. Generic recommendations are shown when you don’t know what the customer is actually looking for, but once you have some history on a customer’s past behavior you can, in addition to the standard generic recommendations, show a list of items they bought recently, or buy frequently. This is particularly appropriate for FMCG and other items customers need to buy regularly. Amazon’s recommendations are said to generate up to 30% in additional revenue for the company, and while they have been doing this for quite a few years, any online business, big or small, can realize a boost in sales through the proper implementation of their own recommendation and remarketing strategy. The only requirement is that you start now. 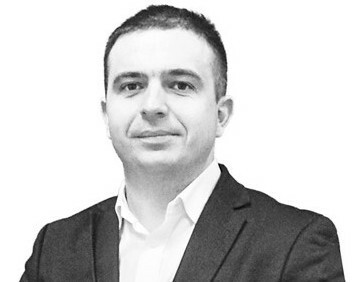 Przemyslaw Mankowski as a CEO of QuarticON concentrates on company’s further expansion on the market, lead International business strategy and develops business partnerships in CEE and worldwide. He has been working in New Tech industry for several years. Prior to joining QuarticON.com, he was Sales Director in Agora and Member of the Board in Trader.com (Poland). He was also CEO at Passus and NextWeb Media. You’ve invested time and energy in social media, content marketing, you’ve created a call to action that’s been generating leads, and your email list of contacts is growing. Now how do you generate sales from your current leads and expand your reach to attract new leads? Let’s take a look at two effective techniques –influencer marketing and customer emails – and how they can help you build relationships with your leads. Using key influencers to promote your brand to a wider market, should be an important part of your overall marketing strategy. Today’s key influencers are often bloggers, and building relationships with bloggers, within your niche, can be more valuable than money spent on traditional advertising channels. According to a recent survey, 81% of consumers say they trust advice from their favourite bloggers while only 33% trust ads. Word-of-mouth marketing is very relevant and when word gets spread by industry influencers, there’s more potential for capturing the attention of new users and increasing your reputation. Most brands today understand the importance of content marketing, and 77% of marketers use blogging to increase brand influence. Once you’ve invested time and effort into your own blog, how do you spread your reach by connecting with other bloggers? Identifying your goals and understanding what you want to accomplish can help you decide on whom you want to work with and what approach you’ll take. Get creative. Everyone likes a good product review, but more than their attention, you want to get them involved. Sponsor giveaways for ‘best comments’ or solicit user-generated content and feature the ‘best of’ on your site. Provide high-quality images and suggest creative visuals that bloggers can use for their Instagram stream. Create share-worthy messages. Target a devoted niche and focus on content quality rather than traffic analytics. 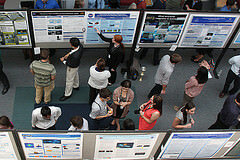 Research your competitors. Take the time to really analyse their successes. What does a successful campaign look like? Don’t be afraid to borrow ideas from outside of your industry either. It’s important to understand that blogging is a business too. Cooperation from bloggers isn’t always free, especially the high-level influencers. When you weigh the benefits, though, blogger influence often justifies the costs. Spending on influencer marketing might be an eventuality- as part of your overall social media marketing costs. Connect with local bloggers (i.e. newspaper sites and community leaders.) This is valuable publicity, for free! Request backlinks to your site to drive traffic and boost SEO ratings. If you don’t earn a link, that’s OK, you still gained recognition and a boost to your reputation. The other tactic for building relationships is connecting with customers through email marketing. Email lets you communicate your brand message in personalized format while providing leads the opportunity to click through and purchase. Segment your email list. If you’re tracking analytics, you already know where you leads are coming from. Did they sign up through your latest Facebook ad, download your eBook, or were they referred by an existing customer? 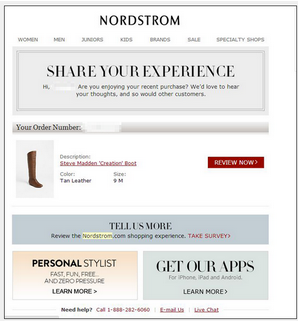 You can tailor your emails based on the specific marketing approach each customer responded to. Other ways to segment include demographics and survey responses. The list goes on, depending on the product or service that you are selling. The point is that by breaking down your large list into smaller segments, you can send out targeted correspondence which translates to a higher likelihood of generating a response. Personalize each email. 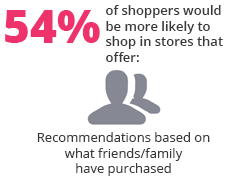 Include details about past purchases and target items to customer interests based on those purchases. The more you demonstrate an understanding of your customers, the more likely they are to return and become loyal buyers. Building relationships with your leads is the key to conversion. Building trust with influencers and maintaining communication through email marketing are effective methods of establishing these important relationships. And these are the relationships that create results! A dissatisfied customer, on an average, tells 25 of his friends, while a happy one tells only 15. Seems like if good reviews spread like wildfire, bad reviews would be rushing with light speed. Reviews, and how the masses consume them, are human nature, but this human nature can be fatal for online businesses especially at a time when 8 out of 10 customers treat and trust online reviews just like personal recommendations. Let me tell you, brand value is diluting. And it marks an uprise of a generation of advocates and influencers that are a part of the crowd our customers identify with. 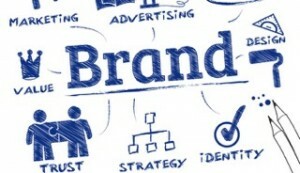 So here is a quick look at the ways you can ensure that your online brand reputation shines forever like gold and earns you higher AOVs, bigger ROIs, and ever increasing conversions. Dig out the people whose reviews are most trusted and offer them freebies or trial packs to ensure that each product has been reviewed. Managing third-party reviews can get a little twisted if you do not have an automated services like Yotpo, which will syndicate all reviews in one dashboard and give you a chance to monitor and reply them instantaneously. The first thing you need is a customer content service and second, a Godly omni-presence. 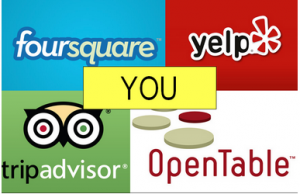 Staying social does help, but so does having a profile on every review site. A great idea would be to have a separate profile, maybe on Twitter, to handle customer complaints. Finally, be open and amiable. A demonstration of ‘respect for your customer’s opinion’ and ‘openness to take up criticism in stride’ will take your business a long way in fetching you repeat, happy customers. Most of the marketing experts unanimously vouch for one factor that gets most conversions, which is openness for customer opinions. Step #1: Patiently listen to your customer. Step #2: Respond instantly, but in an appreciative, comforting tone. If you find a great review somewhere, spread it on social media and display it on your site as a badge of honor and proof of great service. Pay special attention to negative reviews. Do not leave them unaddressed. As much as you try to delight your happy customers through giveaways and discounts, try to make amends with the angry ones too. Apologize with a genuine voice and thank them for pointing out the potholes in your service. Send them goodies or vouchers if they are really unhappy with your service. However, do not do this too often or with everyone as it will encourage bad reviews more than good ones. Believe it or not, customer reviews boil down to one thing – perceived value or customer expectation. If you set it too high on your website and the product doesn’t live up to it, your customer is going to feel disappointed. Keep the product copy unique and compelling but do not exaggerate its features. 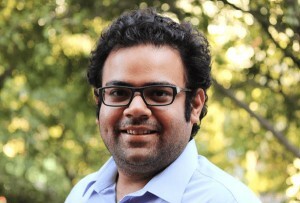 Paras heads Product Marketing at TargetingMantra, a SaaS company that lets ecommerce retailers create a personalized shopping experience for their customers just like Amazon and Zappos. An expert in Personalization and behavioral targeting, Paras has consulted over 50 clients across the globe on conversion optimization and increasing customer loyalty. He is a serial entrepreneur from IIT-Guwahati and Indian School of Business, who loves to spend his time exploring new technologies. Connect with him on Twitter and LinkedIn. It’s guest post day here at Duct Tape Marketing and today’s guest post is from Giles Thomas – Enjoy! How do I get more people to sign up to my blog? Why is no one joining our email list? Generating leads from your blog is no easy task. It can be difficult to keep writing content when your conversion rate is low, 1% or even less. Through testing and trial and error we came up with a technique that not only makes your visitors happy but also increases your conversions rates. I struggled with conversion rate just like you, I had a pretty ok conversion rate of 3% until I discovered a fairly unknown marketing technique. In three easy steps I went from 3% to a site-wide conversion rate of 22.46%! First I’ll explain the psychology behind the technique then I’ll show you how. 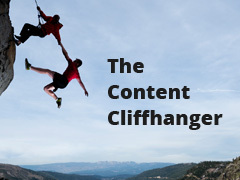 Just like in a tv series or film, when it comes to blog conversions cliffhangers work like a charm! This is due to something called the ‘Zeigarnik effect’. It is when a piece of information starts but does not finish, our brains then keeps hold of the information, pushing it into our mind time and time again until the information is complete. It seems to be human nature to finish what we start and if it’s not finished, we can’t forget it. 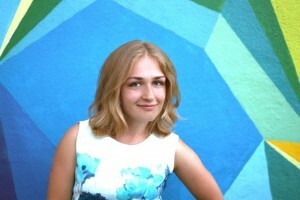 Bluma Zeigarnik a Russian scientist learned the phenomenon when her tutor Kurt Lewis noticed something very interesting about waiters and waitresses. After observing them when waiting tables, they realised the waiters had much better recollection of unpaid orders than paid ones. To the point that, when the table left the restaurant and closed the cheque the staff member would forget their order all together. The information loop stayed open in the persons mind until the table was complete, because the narrative of that table was not complete. We can leverage this technique in our blogs to help us collect emails. Start a narrative or information loop in the blog post and ask for an email opt-in from the visitor to complete the loop. The ending to the narrative. 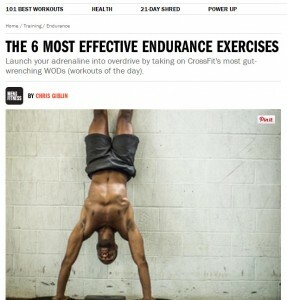 For example ‘The 6 Most Effective Endurance Exercises’. In the post start an information loop, the beginning of your narrative, the set up for your cliffhanger. In this example they talk about 3 of the 6 best ways their readers can improve their abs. 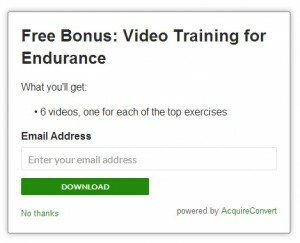 They then offer a bonus content area to email subscribers with videos showing in detail how to do all 6 exercises. Your bonus content could be a PDF, video or even a swipe file. Create a download for the post that shows the reader in video form all 6 exercises in detail. This means the reader can close the information loop by downloading the free content. I created a free wordpress plugin to enable you to easily offer free downloads. 3. Record the difference in your email opt-in rate before. I cannot promise you exact opt in rates, nothing in conversions is a hard and fast rule. There are no one size fits all fixes. But I can say from my experience I have yet to see this make an improvement to a blogs conversion rate. The difference with this plugin and most others is that you can customize the form and its contents for every post or page. So you can have free downloads that are always aligned with your pages content. That is the secret behind the technique, when the users search intent is aligned with the opt-in offer, you see much higher conversion rates. Because the giveaway is aligned with what they originally searched for on google. Start an idea in your blog post but finish it in the download, like a cliffhanger in a good tv series. People then want to close the information gap or loop, increasing the likelihood of conversion. This works much better than generic opt-ins like, ‘Join our newsletter’. 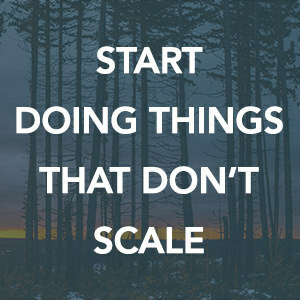 …but first you must take action on what you learned in this post. Let me know your thoughts in the comments below. What techniques are you using to get more conversions? What do you offer your customers when asking them to opt-in? Talk to you soon below! Download the free 65 page Guide to List Building, download the guide here. 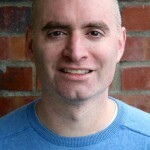 Giles Thomas writes about Content Marketing and Conversion Rate Optimization at Acquireconvert.com. 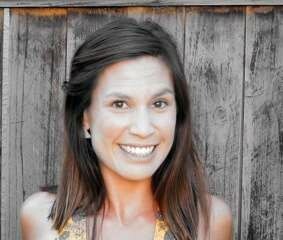 He is also the founder of the holistic design agency Whole Design Studios.